I am looking for a comfortable car for long trips (200-400 miles). We have an electic car that covers about 80% of our driving. For longer trips we take my 2006 Scion xB. The wife complains because it is loud. Because we only put 2-3000 miles a year, I'm not sure reliabilty or gas milaage is that important. Ideally it would be around $10,000. I have mostly searched for wagons (dodge magnum, e350 wagon, CTX wagon) because we go camping a few times a year. Having cargo capacity while still keeping ride comfort of a car platform is apealing to me. I also have a 36" inseam which is the main reason I bought the xB. This is a challenge. Not all that many wagons are out there that are decent for $10,000 or less. Some of these suggestions you may not be able to get at your price point. First thing that comes to mind is a used Toyota Prius V. It is a wagon and I am sure others are going to warn you of the older model's battery pack. Yes, that is a concern. But if you can find a good one this may be a decent bet. Challenge is, below $10,000 near me I can find one from 2012 with 114,000 on it ($9,890). Battery pack should still be fine and you probably can get another 50,000 or so on it before that would have problems (probably, no guarantee). Test drive for comfort - some like it, others don't. 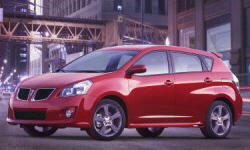 Older are the Pontiac Vibe/Toyota Matrix twins made out of Fremont, California at an old GM plant as part of the GM/Toyota partnership. They are pretty reliable and durable but based on the Toyota Corolla they are not the most comfortable, so definately test drive one on a highway to see if you like it. The newest I can find is a 2010 with 75,000 miles for only $7500 (FWD). It actually is not a bad choice at all if you can deal with the ride. Subaru Crosstrek is out as it is too new and there are no units close to $10,000 yet that are old enough to qualify. However the Subaru Outback is a possiblity. A 2005 near me is going for $7985 with only 48,485 on the odometer. This car maybe even better than the used Prius because it cannot have battery pack issues. Although the engine might burn oil and you will have to monitor it (this impacts about 10-15% of all Subarus built due to the boxer engine design - also impacts Porsche). I found this car to be comfortable although I did not buy one (I bought a Legacy sedan instead later on). Honda Crosstour is an AWD hatchback that may fit the bill. Also fairly reliable since it was not a success and discontinued, you can get one with about 100,000 miles for about $9900 (a 2012 near me with 102,000 goes for that). Pretty comfortable car which I have driven. Harder to find but also a fit is the Acura TSX Sportwagon. There are not many of them (they sold mostly sedans) but near me there is one 2011 with 131,000 miles for $9800. These probably are going to be higher mileage and older because there are so few of them out there. It is more sporty than comfortable, but not uncomfortable to drive. VW Jetta Sportswagon is a possiblity, but I would avoid it as it is not that reliable and in the price range you are looking, it would probably be full of issues that you would want to avoid. Chevrolet HHR is an odd car made by GM that also probably won't be all that reliable and I would avoid. It also is a small wagon so you probably won't like it. Although they stopped making them in 2008, there are plenty of them on the market and available. The Ford Taurus X is a possibility. It is pretty reliable (according to True Delta which agrees with Consumer Reports) and since it is discontinued is not that expensive. One with 77,000 is going for $6500 near me (and there are a lot more 2008s on the market for about that). This maybe your best bet of all as it is comfortable to drive. So there are a lot if you are willing to go used and go old in this category. Personally I think the Ford Taurus X fits what you want - price, low mileage, comfortable ride, plenty of room to carry things for camping, car platform, and even fairly reliable (you did not ask for, but it offers it for its age). Great. Thank you. My mom has a Matrix and I like it but I think I want something bigger. The only other one on your list I have driven is the HHR. I remember it having some really annoying visibility issues both out the winshield and around the pillars. My wife really likes the Prius V but I think you loose some of the benefits of a hybrid with mostly freeway travel. I probaby have to keep it on my list because of her but if it has battery issues, I want to avoid it. I think you are onto something with the Taurus X. That sounds like what I am looking for. We've owned a Taurus X since 2010. With two of the three kids now in college, we might sell it next spring. They were made for two model years, 2008 and 2009. I find the seat and ride very comfortable for long trips. For some people, though, the footwells are too narrow. The second row is mounted high off the floor and is also very comfortable. All of the seats--even the front passenger seat--fold easily to open up a lot of cargo space. Even with the third seat up there's a lot of space behind it, with a deep cargo well that other crossovers usually don't have. Fuel economy is not good, mid-teens in the suburbs and low-20s on the highway. The driving position is mixed. You sit very high above the instrument panel, and the windows are large, so outward visibility is excellent for this sort of vehicle. But the controls and nav display (if equipped) are thus mounted far below your sightlines, which can be unsafe. With regard to reliability, I've had to deal with underbody rust (removed it and applied Chassis Saver) and worry about the transmission, which sometimes suffers from shift flares. Change the fluid at least once every two years. The front control arms or their bushings have had to be replaced twice. The PTU seal is prone to leaking in all AWD Ford crossovers of this era. Ours was fixed when the car was still under warranty. Had to replace the trans cooler / AC condenser due to a leak. But the engine seems very solid. No issues with it at all in 112,000 miles. Prices are low. We might find that the car is worth so little that we might as well keep it for when we occasionally need it. Then, though, I'd worry about the brakes rusting up, but this is a concern for any vehicle parked for extended periods of time during the Michigan winter. I should have mentioned my friend in NJ bought one new back in 2008 and loves his after 10 years and 120,000 miles. He has had an issue with the the front control arms as well but he has not had the other issues Michael mentions. Michigan is very severe in their winters which maybe why he has rust issues - in NJ he is not experiencing that problem. No transmission issues either on his Ford, but since he uses it for a lot of long trips (about 50% of the mileage) and not for local stop and go traffic, he has a lot less wear and tear than probably most people. I believe if you test drive the Ford Taurus X and the Toyota Prius you will note the Ford is much bigger and has a lot more space and will ride a lot better than the Toyota. I have driven my friend's Taurus X and it does drive well, but the Prius is just a different class of car and cannot offer the same ride quality. One thing I should mention about the Ford is that it is a little like a crossover and not quite a wagon you are looking for, but it does drive like a car (and you will find it particularly cheap because of its limited run and there are many of them for sale). He might just not be looking in the right places for the rust. You have to look under the car or in the rear wheel wells. Also under the rubber gasket on the leading edge of the rear wheel openings. I asked him to check. He got back to me via text message today. No rust. None anywhere on the car. He did give me a rundown of everything that has gone wrong. I only knew about the control arms. He now has 150,000 on the car and it is still going. The AC actuator just went on the car at 145,000. He also mentioned that the tranmission went in the first 20,000 miles (I was not aware of that either) but that was fixed under warranty. Besides those three concerns, he has not had any of the other issues you had Micheal. Overall he likes the car and it has been durable once the transmission was fixed early on. He is like me - he tends to keep his cars about 200,000 before trading them in (he also has a 2006 Pontiac Grand Prix with over 100,000 on it as well). 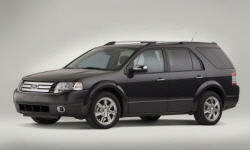 You'll probably be able to find more Ford Flexes, which are the newer versions of the Taurus X. Don't get the Freestar as those had a CVT that was prone to failing. I would imagine the Taurus X would handle snow better than the Flex because it looks to have more ground clearance. If you want a smooth ride, I'd take the Matrix and Vibe off the list because those don't ride any better than the xB. 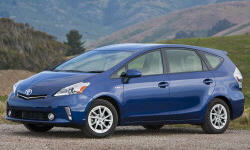 The Prius v sounds tinny when you drive it. The ride is relatively comfortable, but has more road noise than the regular Prius. It will be quieter than the Matrix and xB for sure, but the Ford will feel more substantial probably; especially the Flex. I don't see why the Outback hasn't been mentioned more. Since you don't drive much, I wouldn't worry about the oil consumption or head gaskets blowing. They have a very soft ride compared to most economy cars. 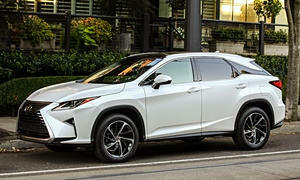 Also, the Lexus RX can be found for around $10k for the 2006-2008 years. They will last for at least 200k miles with maintenance and as Consumer Reports says about these years, "the RX offers a cabin that's just as quiet and plush with the best of the best." It is a traditional SUV like a RAV4 so it will be easy to get into and out of. Very comfortable seats as well. Don't get the hybrid model. The Prius batteries typically fail at around 200k miles. My battery lasted for 240k, but I live in mild temperatures. That said, I didn't baby the car at all. Now it has almost 260k miles with 0 engine problems ever. The battery is about $2k for a remanufactured or a little more for a new one. It is easy to DIY it, too. It is a matter of replacing a few battery cells in front of the trunk and is easy to access. The warranty for a Prius battery is 8 years or 100k miles in most states. Some states have a longer warranty. The Prius v's MPG is better in the city than the highway, but it is still better than almost every gas car on the highway at the time. You'll pay half as much for gas compared to the Taurus X and a little more than half of your xB. Don't buy the HHR. There is really nothing appealing about that car. I did a little more research and I love how inexpensive the Taurus X is the 40.8 in front leg room will not work for me. The Flex has the same. I have bad memories of uncomfortable long drives in an Outback. I think that was 2003 though and it looks like they changed a lot since then. I sat in a recent on and it was nice. I also like the idea of a RX350. My friend had one around 2006 and it was nice to ride in. I will try to test drive both of those. I went to a car show a few weeks ago and really liked the Buik Regal TourX. Too bad it just came out. Maybe my next car. I did not realize that just over 40 inches of leg room was not enough. That is a problem because now there are few cars that offer that. Of all the cars mentioned above you are limited to to the used Lexus RX - it has 44 inches of front leg room, substantially more than the Taurus Xand Edge you mention. As you are going to test that now, it is probably your best bet for comfort and reliablity. It will be more expensive though, close to your $10,000 limit so you may have to go older than 10 years. However those powertrains should last you 200,000 with no problems (rubber seals will need replacing, but the overall mechanics are very good on those cars). I can find a 2005 for $9950 with 62,500 miles on it so you probably can find one in your price range that would be a very good buy. The problem with Subaru is you cannot go older than 2010. Prior to that, the head engine gasket was made out of different rubber and had a high rate of failure. After 2009 they changed the material and the problems went away (some burn engine oil, but that is it now - much better than prior to 2010). Plus if you go to old on the Outback it won't be as comfortable. The front leg room on that car is 42.9 - more than the Taurus X and Edge, less than the Lexus RX. Big problem near me - very few are for sale used within 150 miles of where I live (and that includes NYC). They are all older (2002) and cost $5000. I have a feeling you are going to have a hard time finding a used one in your price range new enough to consider. I did not mention the Buick TourX as it is new and not in your price range. It is probably going to be a reasonably reliable car eventually and is comfortable with a lot of leg room, but only available in 2018. Best of luck, thanks fo the update. There are two ways to measure front legroom: with the seat all the way back OR with the seat seat for a 90th-percentile man. When you see a spec near 41 it's usually the latter--meaning the seat often can go back farther. What this means: you have to actually sit in the cars, you can't just check the specs.